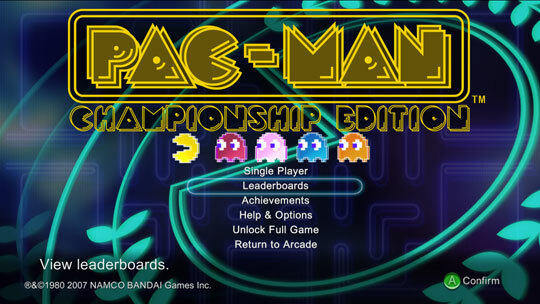 The lovable Pac-Man makes his Xbox Live Arcade debut today, reborn as Pac-Man Championship Edition. The game follows the same premise that everyone on planet Earth is familiar with, but adds a bunch of new mazes and several 21st century improvements like high def graphics and widescreen support. Microsoft teamed up with the game’s creator and had a blowout launch in New York yesterday where they crowned the first Xbox 360 Pac-Man World Champion, some guy from Mexico. The game costs 800 Microsoft Points, or $10 American. It’s probably worth checking out for at least long enough to get your rocks off.